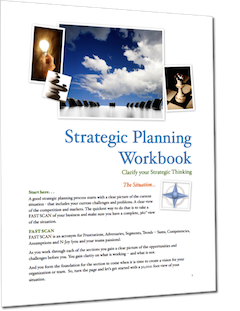 These simple thinking tools have enabled me to create many breakthroughs for my clients. They are both one of those “easy but profound” ways of thinking about issues in business and life that leads to next level thinking and powerful solutions. I hope they serve you as well as they have for me. You can access your instant downloads just by right-clicking on the pictures of the reports below and “saving as”.